HOME PAGE / BLOG / What is STEM Education and How to Educate Children the Right Way? 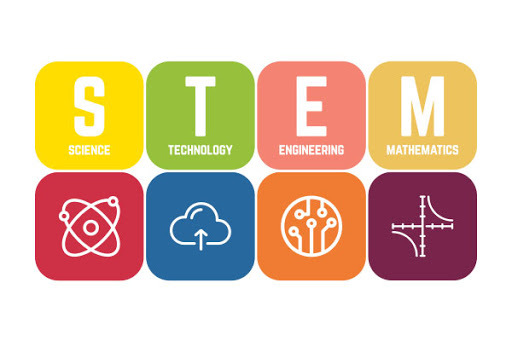 STEM is an acronym for science, technology engineering and mathematics. The term refers to educational concepts and curriculum in schools or education systems that focus on these academic disciplines. 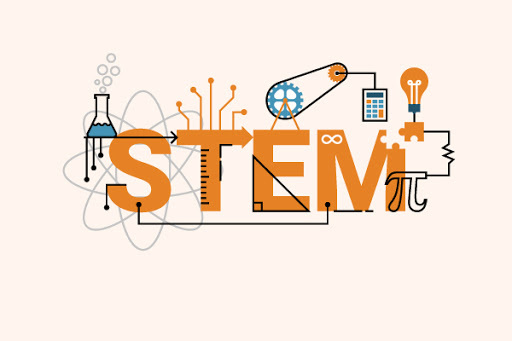 STEM-oriented learning has been a leading focus of the United States since the end of World War II due to the American industry’s massive growth and transformation during the war. Since then, it has gained attention from multiple other nations with an increase in interest and funding over time. STEM’s main purpose is to educate children to approach these disciplines holistically as opposed to individually. STEM relies heavily on real-world applications of the above disciplines and learning through experimentation. There are many variations of STEM today, with some even including arts and social sciences in the curriculum. However, the core foundation of STEM still revolves around science, technology, learning by trial and error, and being open to new methods of teaching. With the digitisation of the world, the growing importance of computer sciences, and the number of new jobs created by technology and industrialisation, STEM is becoming more mainstream than ever before. 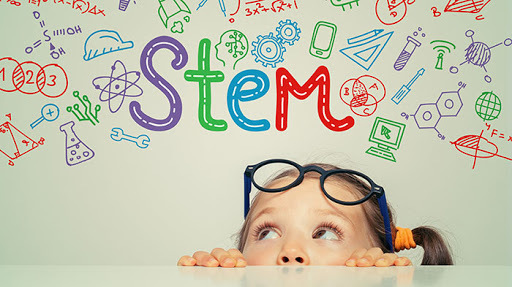 Many nations have their own STEM learning programs, schools embrace STEM in their education curriculum, and local council and community initiatives often hold STEM learning workshops for the public. “You cannot endow even the best machine with initiative; the jolliest steamroller will not plant flowers." The increasing importance of technology, robotics and digitisation has resulted in some governments placing an enormous emphasis on STEM education. Some politicians and government officials in the United States have even pushed to defund social science scholarships in favour of STEM. This type of bias has drawn criticism from the public as it neglects other forms of education, such as the creative arts. The opposition to heavy reliance on STEM education sometimes bases its claims to real-world success stories of entrepreneurs and industrialists such as Mark Zuckerberg, Henry Ford, Steve Jobs, Daniel Ek, Bill Gates, Richard Bronson and many more. What’s the right approach to engage children in STEM education? Today, most STEM educators use a holistic approach to teach students about the world. Students are no longer funnelled into siloed divisions of Science, Technology, Engineering or Mathematics. Instead, STEM educators encourage their student’s natural curiosity and create safe environments to ask questions, even about seemingly simple facts and concepts. This is an approach that’s often endorsed by successful businessmen and tech entrepreneurs in their statements, speeches and interviews. The amount of data and information, even in a single field and discipline, has way surpassed the point where one person can learn it all. This means that the skill of asking the right questions – in order to find the right data – has become more crucial than ever. We’ve now given an overview of STEM education, its foundations, and it’s current state. It appears history is repeating itself because today, STEM education focuses on asking the right questions, instead of the rapid acquisition of knowledge. Albert Einstein, one of the leading theoretical scientists in the modern world, was not a mathematical genius. In fact, he struggled for a long time to work through a mathematical problem that he created himself. When one of the most famous mathematicians of the world at that time decided to intervene and attempt to solve his equation, Einstein realised he had to take a step back to ask the right question. It was only then that Einstein developed the “General Theory of Relativity” and completely change the way humanity perceives the universe. Throughout history, the key to finding answers is persistently asking the right questions. What are the Benefits of a STEM Education for Children? How to Prepare Your Child for STEM Education? Show them how to access knowledge: Thanks to the internet, there are vast amounts of information easily accessible as long as you have a desktop, mobile device or tablet. Make sure to teach your children how to find reliable and verified sources of information on the internet. Challenge them with questions: Instead of immediately answering your child’s questions every time, try turning the question on them. This will challenge their thinking and encourage them to find a solution for themselves. Encourage them to ask questions: If you’re going to “force” your kids to do anything, it should be to ask more questions. No matter how silly the questions seem, don’t let them fear or hesitate to ask questions. Questions are the gateway to inventions and innovation. Let them fail: Failure is a part of learning. Don’t focus on the failure but teach them how to focus on learning from their failures. Cook together: Cooking may not sound very scientific at first, however, t’s the simplest and purest form of chemistry. And it’s edible! Even if you’re not a good cook, you can encourage your child to cook under your supervision. Spend time in nature: Nature is the mother of all sciences and is a very good way to trigger the natural curiosity of children. Spending time in nature also helps children realise the vastness of the universe and nature. Encourage them to read: A child or person without an ability to express their curiosity or questions will not be able to ask the right questions or make sense of the answers they find. Language is the pinnacle of human advancement and it’s first and foremost driving force. Reading, not only about science but about anything, will improve their linguistic capabilities and help them grasp new concepts and facts faster. Get them involved with technology: Technology is a constantly changing tool that’s heavily involved in all of our lives. Let them embrace this fact and technology itself. Let them realise that technology is nothing to fear or obsess over, but only a tool to help us. Let them play: Playing games is very important in the development of a child’s brain. You can also encourage them to play educational or mind games that improves their intellectual thinking. Games developed by child education specialists and teachers, such as MentalUP, are a good option if you want to track your child’s performance over time. 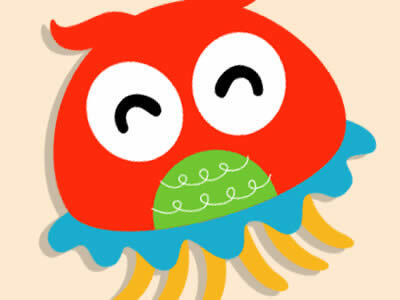 A colorful, memory-enhancing game for children with so many visuals. Start when you are ready. How Can MentalUP Brain Games Develop Your Child’s Interest in STEM? Allow your child to become acquainted with technology. Help your child learn problem-solving skills. Constantly challenge your child with progressively difficult games. Teach your child that failure should be motivating and it’s more important to keep trying to succeed than give up on the first go! MentalUP also has games that parents can play with alongside their children, so you can spend quality time with your family. You can try MentalUP now for free.